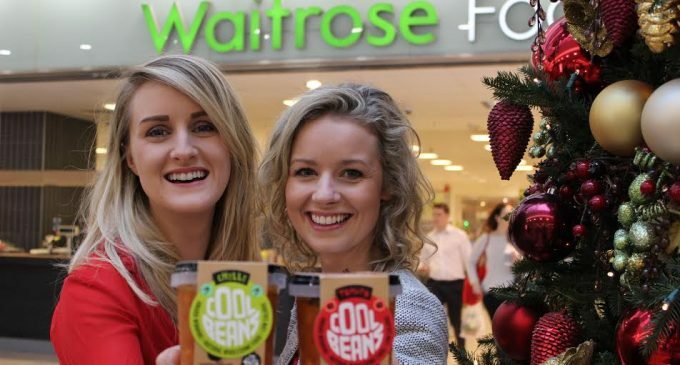 Award winning Irish start up business, The Cool Bean Company, has officially launched into the UK with premium retailer Waitrose following less than one year of trading in Ireland. Cool Beans is a potted, healthy, bean-based meal that comes in two flavours – original tomato and hot chilli, which will retail at £1.99 in 135 Waitrose outlets week in a 300g microwaveable pot created exclusively for the store. The move marks the Cool Bean Company’s first foray into the UK market with a deal estimated to be worth between £600,000 and £1 million in 2016. Founded by Sarah O’Connor and Isolde Johnson in 2013, The Cool Bean Company aims to create a no fuss, no nonsense, superhero food. Similar to other successful food brands such as Innocent and Pieminister, the company had their start on the music festival circuit before progressing to a retail ready offering in Ireland in September 2014.